Just a quick post to Thank Yvonne for the gift she sent me for the Boston Modern Quilt Guild Gift Swap. 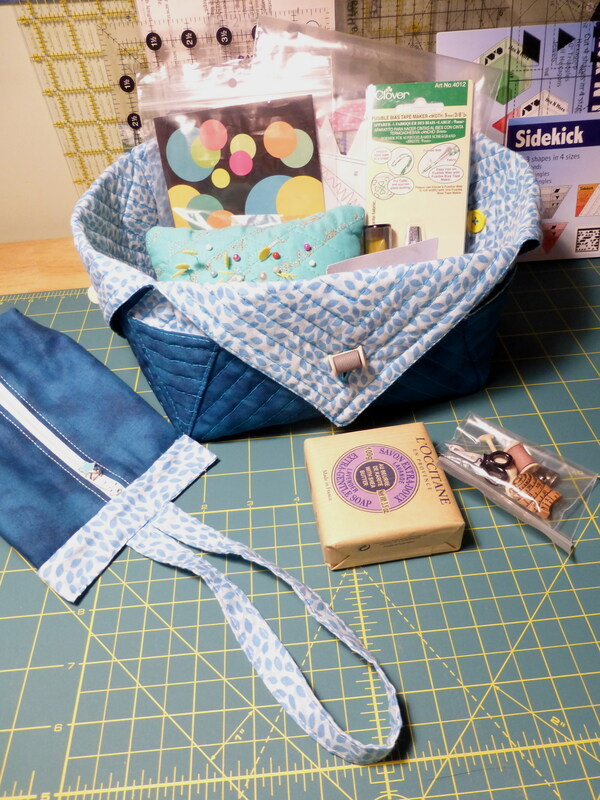 Yvonne didn’t make it to the meeting, so she sent me a box full of goodies … a perfectly crafted fabric basket for organizing things, a pin cushion that has programmed stitching which says “Patrice loves to Sew” (yes!!) and a jazzy, roomy wristlet wallet. But then there was more … the rest of the buttons used for the basket and also a bar of scented soap! Thank you, Yvonne! And also thanks to Jenn for organizing the whole swap! This entry was posted in Boston Modern Quilt Guild, Sewing, Totes and tagged boston modern quilt guild, fabric basket, wristlet on June 18, 2014 by pmegio.